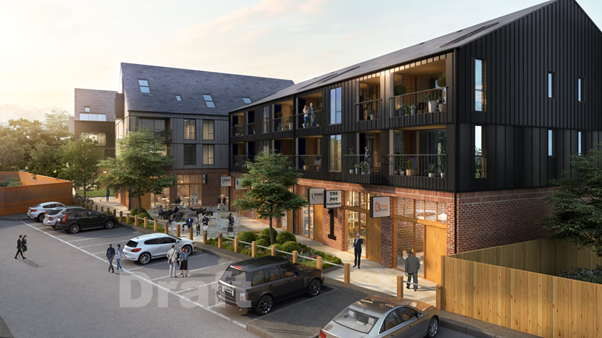 Oakley are pleased to have been supporting Lewes Phoenix Rising with the planning and viability proposals for a new development in Lewes that will make excellent use of disused space in Brooks Road. Lewes Phoenix Rising are a development company set up by local people whom want to ensure any redevelopment of the town meets the needs of residents. LPR are supporting a proposal for a mixed-use site at Brooks Road; rather than the land space being used purely for industrial purposes. Oakley have supported LPR in advising the site developers Cross Stone on the benefits and viability of a mixed-use site and helped with planning application documentation. The aim of the proposal is to ensure that residents of Lewes and the surrounding community gain the maximum benefit from the new development, to support the long-term local economy. Oakley have been delighted to be involved in such an innovative scheme particularly as many of our staff live and work in the Lewes area, near our branch on the High Street. We are passionate about growth and stability in our residential and business communities and certainly believe that the Brooks Road development proposals are a very positive move. The land in question is situated between Tesco and Homebase and has been vacant for over 6 years. Currently, the South Downs National Park Authority’s Local Plan stipulates that the land should be used for employment only, but Cross Stone will be submitting a Planning Application to contest this and put forward the plans for a better scheme. A mixed site of both Residential Properties and Workspace, will entice local enterprises and create more employment opportunities over a longer period than current usage allows. There has been the discussion of a local coach park or retail chain using the site instead, but this may have little long-term benefit to the town. To support local enterprises and ensure the scheme is affordable to new and existing businesses, Cross Stone are willing to offer a small percentage of the workspaces with a 25% discount over 3 years, allowing LPR to manage the units and therefore have decision making authority over which companies can move in. Mixed use sites with both residential and commercial spaces create a better sense of community and diversity; we have seen this work successfully in buildings such as Albert Works in Hove. What’s more, housing mixed within commercial settings is generally more affordable as these types of schemes allow for 1 or 2 bedroom flats or apartments and our situated in largely industrial parts of town. In addition to sensible pricing of the new residential units, Cross Stone also plan to offer 3 of the 41units at 75% of market rent to support lower-income residents. Oakley are eagerly anticipating the success of the Planning Application and are looking forward to being further involved in the Brooks Road and Clayhill sites as these develop. If you would like advice and support with Planning Applications, Change of Use or similar, our Professional Property Services team will be very happy to help.